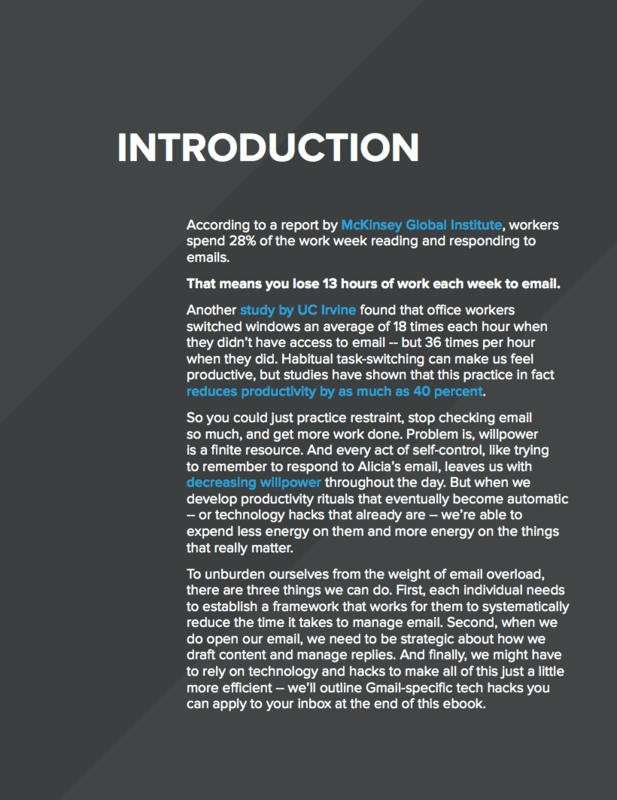 Unburden yourself from the weight of email overload! 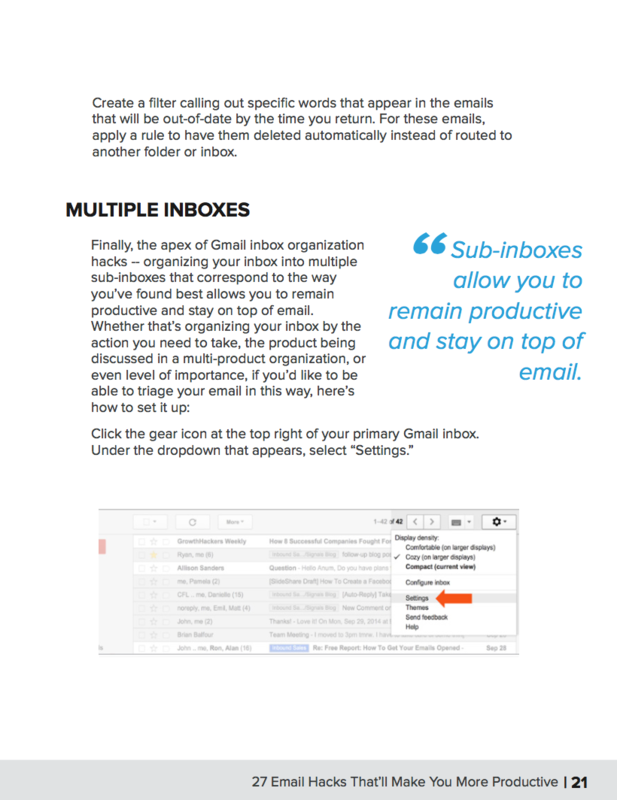 Recover the work hours lost weekly to email. 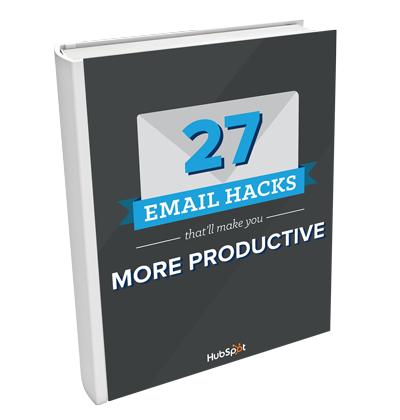 On average, 28% of the work week is spent reading and responding to emails. 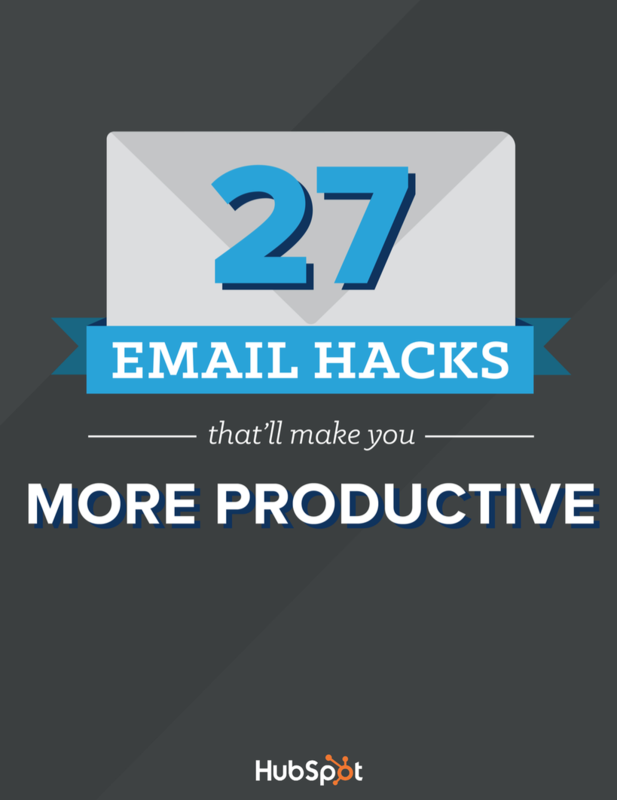 While you may have recognized this productivity problem, it is still difficult to change habits and get the most out of your days. With our help, you can get those hours back in your day. 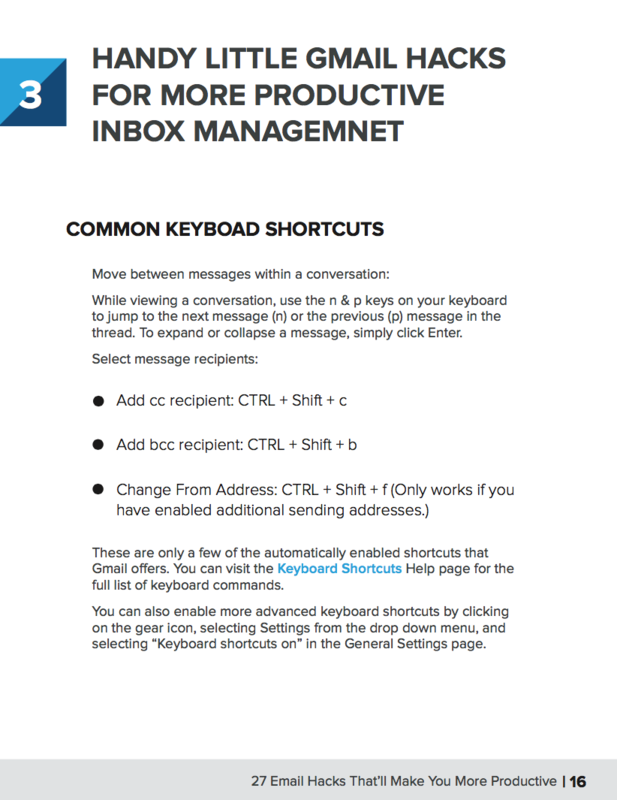 It will take some energy up front, but once you realize that you aren't switching back and forth between browser windows 36 times an hour, it will all be worth it! 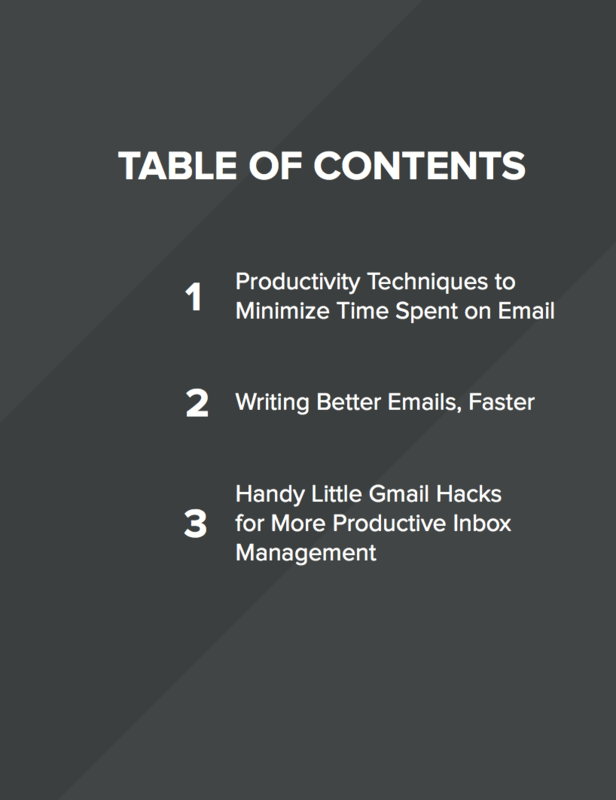 This ebook offers a framework for managing your inbox, strategies for drafting and replying to emails, and technology hacks to make your work life more efficient. Imagine what you'll do with this newfound time.